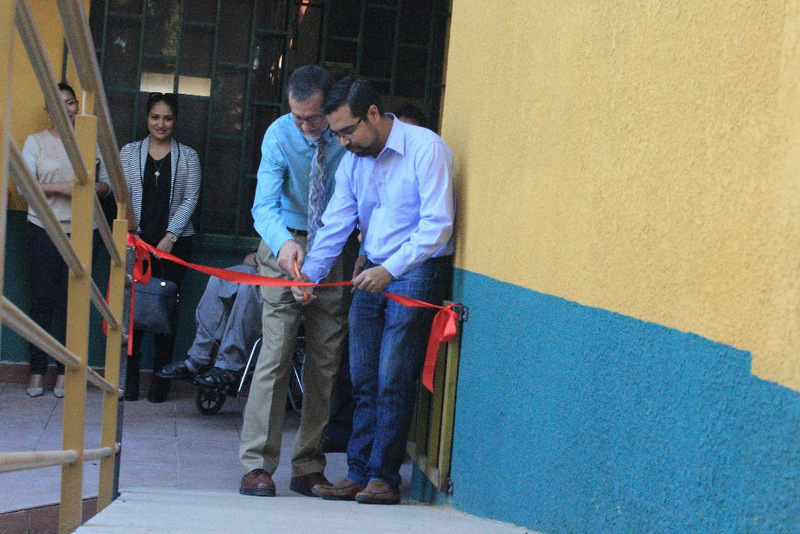 A thrilling moment as we cut the ribbon for the new Centro Bíblico de la Gracia. Tothe, Miguel and Frosty lead the way up the ramp. Enthusiastic guests waiting for a look at the classrooms. We reflected that afternoon on God’s faithful provision and the need of those present to dedicate ourselves to the task of reaching Bolivia and the continent with the message of God’s grace through Jesus Christ. Our purpose is nothing less than “that all the peoples of the earth may know that the Lord is God: there is no other” (1 Kings 8:60). Following a brief tour, those present crowded into the large classroom to hear how the Lord has brought us to this point, meet the board members and learn how plans for the future are being developed. 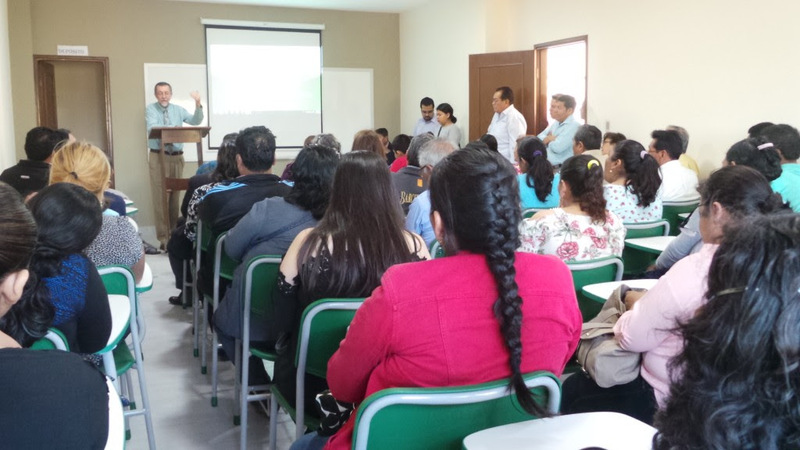 The response demonstrated an eagerness to study God’s Word and an genuine excitement about having a training institution connected with our Bolivian churches of the Misión Evangélica Bethesda. 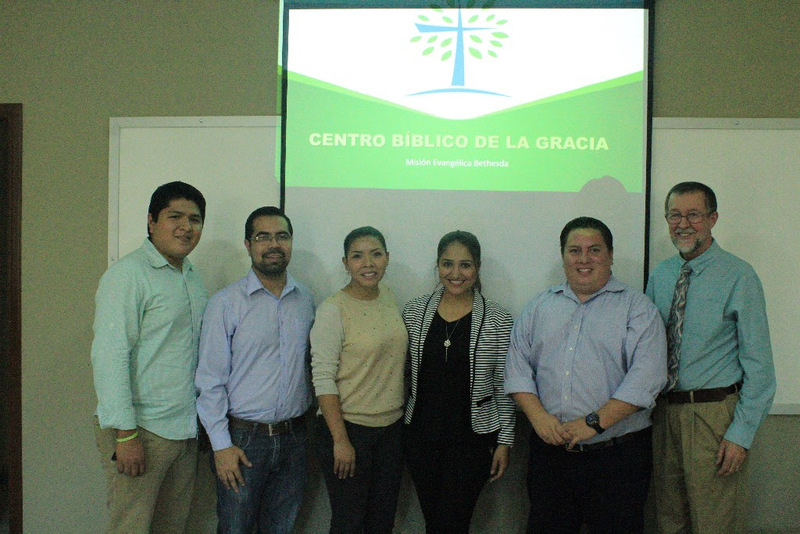 Frosty shared GMI’s history of preparing leaders in Bolivia . Thank you for your support of our ministry. It is always an encouragement to hear from those who are praying for us. We are looking forward to the arrival of Jeff and Sally Roth, GMI missionaries to Nicaragua who are currently unable to return to that country due to civil unrest. They will be staying with us for up to three months as they await developments there. Pray for the people of Nicaragua and the future of the ministry there. In early September, CBG will be hosting a special workshop for church worship teams, featuring a team led by Pastor Jonathan Blycker of Berean Bible Church of Spokane Valley, WA. Jonathan is not only a skilled musician and worship pastor; he was raised as a missionary kid in Latin America and well acquainted with the culture. Joining him will be Jeff Johnson from his church, and Adam and Danae Wolf from Grace Christian University in Grand Rapids. 1. The paperwork continues. We are expecting a visit next week from national government officials to inspect our office and hopeful move toward approval of our documents as a missions organization. 2. The Centro de la Gracia must also complete paperwork to operate legally. It’s a bit more complicated with Frosty’s involvement as an alien resident. 3. Pray for our ministry with individuals as we counsel and encourage young men and women in their marriages and walk with the Lord.